Merry Mythic Monday! And Christmas too! 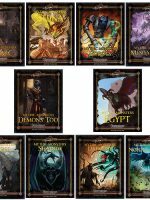 Today we are delighted to debut our latest installment in our incredible line of mythic rules expansions for Pathfinder with Mythic Marvels by David N. Ross! This excellent expansion brings you new mythic path abilities, trials, and more to show off the crazy disruptions that can happen with mythic power and epic destinies collide and the heroes of legend walk the earth! Don’t just be high-powered adventurers! Unleash your legend and shake the foundations of the world! 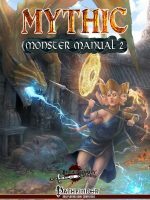 You can grab this terrific new book right now at the Legendary Games webstore, Open Gaming Store, Paizo, and DrivethruRPG! If you were part of our MYTHIC MANIA 2 KICKSTARTER and pledged for a copy of the Mythic Character Codex, this killer content will already be yours thanks to the sponsorship of faithful backer Thedmstrikes! If not, what are you waiting for? Grab a copy today!!! Meanwhile, the mythically merriest of Christmases, the happiest of new years, and the most glorious of any and every holiday to you and yours. Give the gift of love to everyone whose paths you cross, and open your heart to receive the same from others. Raise a glass, hoist a plate, and shake a fistful of dice and smile as another year comes to a close and look forward to all that 2019 has to offer! Techs and Mechs for Sci-Fi Friday! Arcforge awaits! And Merry Mythic-mas! 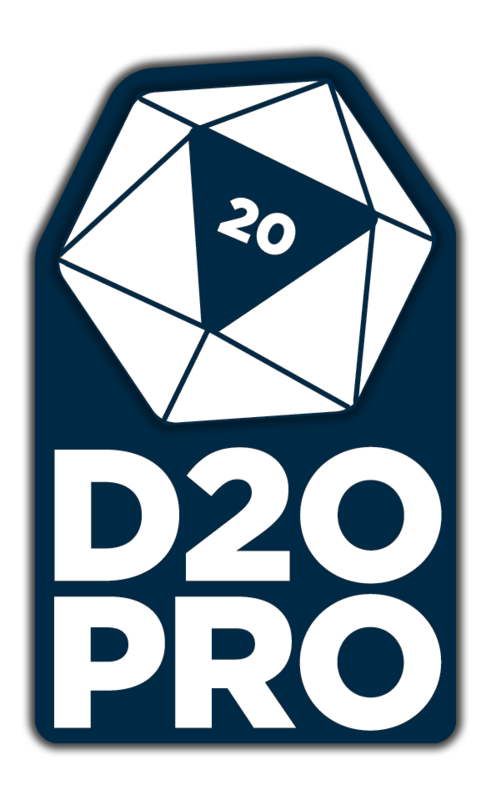 We are excited to debut the first product in our Arcforge product line, the brainchild of Matt Daley and Michael Sayre, taking high-tech adventure a setup further by blending sci-fi and technology not just with classic Pathfinder Roleplaying Game magic and classes, but adding a heaping helping of psionics, akashic magic, and a dash of the innovative class design of Spheres of Power and Spheres of Might! The first fruits of this cross-genre explosion of awesomeness is here with Technology Expanded, and when we say EXPANDED we are not kidding around! You’ll find 84 pages packed to the rafters with feats, archetypes, spells, psionic powers, prestige classes like the psiborg adept, the brand-new helmsman base class dedicated to piloting mechs and vehicles, and so much more. And did I mention Mech Companions? Because yeah, you can get companion battlemechs with a variety of chassis and over 20 unique enhancements. Want to be a Cockpit Jacker, Artificial Spartan, reactor knight, road warrior, or Machine Poltergeist? YES YOU DO! If you ever thought about dabbling into technology and super-science in your Pathfinder campaign, you’ve never seen anything like this. You can grab Arcforge: Technology Expanded today at the Legendary Games webstore, Open Gaming Store, Paizo, DrivethruRPG, and soon at Amazon! We had hoped to have our next Legendary Heroes book ready for you in time for Christmas, because come on, Legendary Magus would have been perfect for a Gift of the Magi! Jokes aside, this amazing book by Dave Nelson and Hal Kennette is in layout now, with a ground-up redesign of the magus along with tons of archetypes, feats, spells, magic items, and eldritch tomes to accommodate a fantastic variety of combat styles blending sword and spell! That’s not to say we won’t have anything for you for Christmas, though! Angels we have heard on high, and we are about to bring you a Merry and Magnificent MYTHIC MONDAY with the mind-blowing Mythic Marvels by David N. Ross! Coming on Christmas Eve, you can get an entire system for making your heroes’ mythic power really matter in the world, as they shake the foundations of the campaign and warp reality around them! Tread flowers in their wake or bring ruin with their passing! 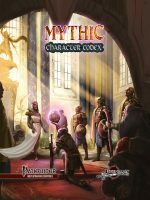 If you loved how Faerie Mysteries let you explore the weirdling nature of the fey and how it shifts the world around them, you are going to LOVE this new expansion to making mythic characters and situations really FEEL epic! Coming next Monday from Santa LG!!! It’s Samurai Saturday… now on a Friday! And the FINAL Mythic weekend! We are excited to debut the latest of our incredible collection of class cyclopedias for Pathfinder with the amazing Legendary Samurai by N. Jolly, Siobhan Bjorknas, Adam Ricks, and Wren Rosario! Consigned by some as the poor cousin of the cavalier, the samurai should be an iconic warrior of honor, strength, skill, and subtlety, and this terrific team of designers has delivered in spades with a killer revision of the class that weds martial iaijutsu talents to mystical kiai arts to forge a truly badass master of bow and blade. You’ll find a dozen awesome archetypes plus feats, magic items, and so much more, plus a fully detailed sample character, Kuro Hiro, to show you what this class can do! Grab it today at the Legendary Games webstore, Open Gaming Store, Paizo, DrivethruRPG, and soon at Amazon! We are also days away from the release of the incredible Arcforge: Technology Expanded coming next week from Matt Daley and Michael Sayre! What will you find inside? Arcforge: Technology Expanded is an incredible expansion to using technology in your Pathfinder Roleplaying Game campaign, with a wealth of options for players and GMs alike, starting with the all-new helmsman base class, uniting the power of magic, mind, and machine, plus a dozen incredible archetypes from the circuitbreaker and road warrior to the mecha sentinel and reactor knight. Each one focuses on a different aspect of technological prowess, from piloting personal mecha to commanding rototic minions or high-tech vehicles. Explore even more options like the metaforge and psiborg adept prestige classes or any of five new variant playable races, or build your own mechanical assistants, familiars, and companion battlemechs from a variety of chassis and archetypes, each advancing in power as you gain levels, with over 20 unique enhancements. Akashic casters can construct technomagical veils (with 10 sample veils provided), and every character can benefit from over three dozen fantastic feats of inventive engineering like Artificial Spartan, Cockpit Jacker, and Machine Poltergeist. Psionic characters will find over two dozen new psionic powers like astral nanites, gravitic charge, and coded resurrection, and we also provide guidance for modeling psionics as advanced technology and akasha as cybertech, plus nearly 20 tables to make reference easy! Grab this incredible 82-page Pathfinder Roleplaying Game supplement today and Make Your Game Legendary! Of course, last and by no means least, we are heading into the FINAL WEEKEND of the MYTHIC MANIA 2 KICKSTARTER! We are already well over 400% funded and hoping for a fast and furious final three days to unlock even more amazing stuff! We’ve already got hundreds more mythic monsters, over a thousand mythic feats and spells, mythic class features for hybrid and occult classes, prestige classes and archetypes, mythic kingdom-building, and so much more! 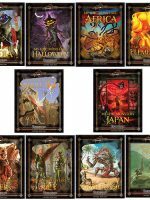 Plus you can still get your hands on some of the classic mythic expansions from Legendary Games like the Mythic Hero’s Handbook, Mythic Spell Compendium, Path of Dragons, and more! Don’t miss out – it all ends on MYTHIC MONDAY – December 17th! 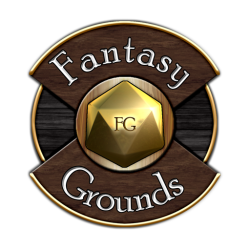 Starfinder Sunday and Mythic Mania Explodes! Holiday fun with the extended family moved Sci-Fi Friday to Starfinder Sunday, but now here we are with the long-awaited debut of Planetary Heroes (Starfinder)! This killer character collection includes eleven richly detailed characters from nearly every class, with both 1st and 2nd-level stat blocks plus advancement notes, personalities and histories and relationships and more! Perfect for use as allies, rivals, hirelings, crew members, or replacement characters, you can grab Planetary Heroes today in print and PDF at the Legendary Games webstore, Open Gaming Store, Paizo, DrivethruRPG, and Amazon! Of course, we’re also excited by the magnificent response to our MYTHIC MANIA 2 KICKSTARTER, which funded in just 4 hours and has already tripled its funding goal and then some! We’ve already SEVEN stretch goals, adding new mythic feats, spells, class features, monsters, and more to the Mythic Character Codex and Mythic Monster Manual 2, and we’ve just posted up even more new stretch goals, including mythic prestige classes, villain material, and mythic rules for kingdom-building and mass combat from our partners at Rogue Genius Games! Get on board the mythic train today and vote for which of YOUR favorite monsters will make it into the final book! Spread the word about Mythic Mania 2!!! Give Thanks for Mythic Mania 2!!! And don’t forget Sci-fi Friday! We are delighted to give thanks today on this Thanksgiving Day to all of our friends and fans for their fantastic support for Mythic Mania 2 Kickstarter! Overnight, we passed the $10,000 mark in just our second day, knocking out our fifth stretch goal! Check out the latest update right here! Spread the word and give thanks today for all the good things in your life. Tell someone you love them and know that we are thankful for every one of you, because you are the ones who Make Us Legendary! Wait, what about Sci-Fi Friday? It’s tomorrow, and we’re ready to bring you Planetary Heroes (Starfinder)! Planetary Heroes brings you an incredible collection of richly detailed and ready to use pregenerated characters for the Starfinder Roleplaying Game, created specifically to shine in the Legendary Planet Adventure Path but perfect for any sci-fi campaign! 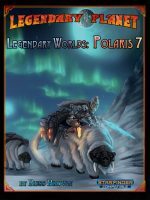 Featuring classic races and classes, as well as characters using the brand-new playable races in the Legendary Planet Player’s Guide, these characters make ideal allies, rivals, cohorts, contacts, or even replacement PCs for any campaign roving into worlds not their own! Authors – Neil Spicer, Jeff Provine, and Thurston Hillman, with Starfinder editing and development by George “Loki” Williams and Thilo Graf! MORE Mythic Monday! 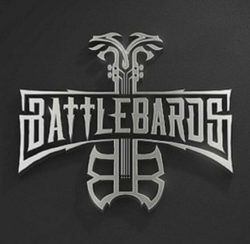 And Ultimate Strongholds coming soon! Last week saw the triumphant return of Mythic Monday and today we have even MORE Mythic! You’ll find advanced mythic options for over 130 mythic feats from the Pathfinder Roleplaying Game Advanced Class Guide, from Aberrant Tumor to Wounded Paw Gambit, including combat feats like Canny Tumble, Pummeling Charge, and Merciless Butchery; magical aids like Talented Magician, Channeled Blessing, and Flexible Wizardry; and an incredible array of feats to enhance and expand your class features and hybrid abilities like Raging Blood, Dueling Cape Deed, Slayer’s Feint, Bookish Rogue, and Seething Hatred! You can grab your copy today at the Legendary Games webstore, Open Gaming Store, Paizo, DrivethruRPG, and soon at Amazon! In case you missed it, last week kicked off the mythic revival with Mythic Feats: Wilderness Feats! You’ll find enhanced options for over 120 all-new mythic feats from Pathfinder Roleplaying Game Ultimate Wilderness, from Ambush Awareness to Woodland Wraith and all feats in between. Combat feats like Jaguar Pounce, Wolf Rider, and Crashing Wave Fist; magical aids like Night Sky Hex, Verdant Spell, and Waterway Caster; and a massive array of environmental and terrain feats alongside new options for animal companions, mounts, and shapeshifting abilities! The sequel, Mythic Feats: Advanced Feats, is already in layout with even MORE magnificent mythic feats, but you can grab this book today at the Legendary Games webstore, Open Gaming Store, Paizo, DrivethruRPG, and Amazon! We have a ton of great Pathfinder, Starfinder, and 5E books churning through the layout machine, but we also wanted to announce that we’ve just dropped Ultimate Strongholds by Ben Walklate and Jason Nelson into the pipeline! 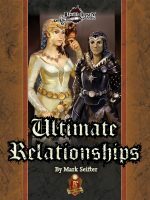 This book connects siege warfare and kingdom-building rules with the downtime rules for rooms and buildings in Pathfinder Roleplaying Game Ultimate Campaign as well as providing new spells and rules options for protecting your stronghold in a standard Pathfinder campaign! This should be an invaluable addendum to any military campaign and we know you’re gonna love it!